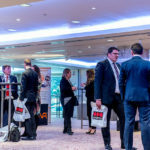 The first UK Outstanding Security Performance Awards (OSPAs) Thought Leadership Summit event took place at the Royal Lancaster in central London on 1 March on the afternoon of its awards ceremony. The event generated a discussion about how the security industry should progress, and facilitated conversation among security experts, while hearing perspectives from outside the security sector. We also hosted a two ex-offenders to hear their honest and unique insights. 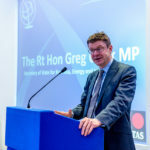 The RT Hon Greg Clark MP – Secretary of State for Business, Energy and Industrial Strategy kicked off the afternoon with a challenge to the security industry to more positively engage with the dialogue on change. 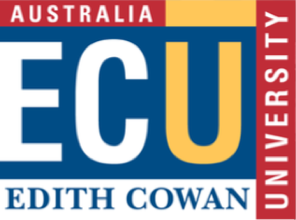 Mr Clark highlighted the issues of aging (and more vulnerable populations); emerging technologies and the use of ‘big data’ as well as the ever present challenge of dealing with differences between urban and rural environments. What are we as an industry doing to engage with these issues? 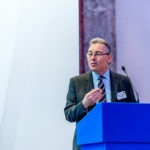 Ian Dyson, QPM, Commissioner, City of London Police made a clear call for greater collaboration between the police and the private security sector. Where there isn’t trust – there is a need to recalibrate the relationship he says. Andrew Thomson, Director of Property Management, Real Estate Management (UK) Ltd likewise talked about the issues of silos when explaining the challenges that face teams when engaging their Boards with security issues. He stressed the importance of using the right language in order to be heard and understood. 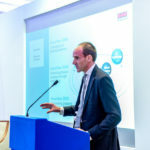 Craig Robb, Chief Commercial Officer, Securitas UK highlighted the very real dangers of the industry not keeping up with disruptive technologies – which are challenging all industries and reminded us of many salient examples of once indomitable organisations that no longer exist as they failed to innovate. Our industry fails to innovate at our peril. 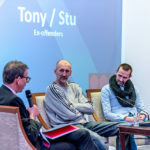 The afternoon was brought to a close with a very real discussion with two ex-offenders Tony and Stu. Suddenly collaboration, silos, disruptive technologies seemed a world away from the security needs for one’s own home as these seasoned ex burglars shared how to access your home. They talked movingly about the hurt they now know they brought to others by stealing goods of huge emotional value to others but insignificant monetary value to themselves. 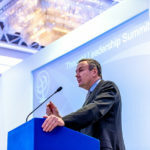 From cabinet ministers, police commissioners, business leaders, and security leaders to ex-offenders the afternoon certainly lived up to its claim as a thought leadership summit. The event was sponsored by Securitas UK and supported by and exhibition of products and services.